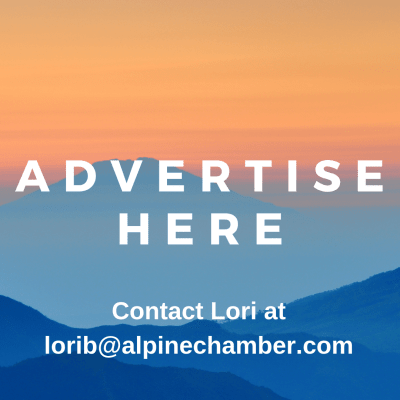 Thank you for your interest in the Alpine Chamber of Commerce! We are proud to work on behalf of our member businesses, communities, organizations and individuals to promote our local communities, support and enhance existing efforts by other local organizations, and expand and advocate for the growth and health of our local economy and business community. Please review our membership levels below and choose the right place for your needs. 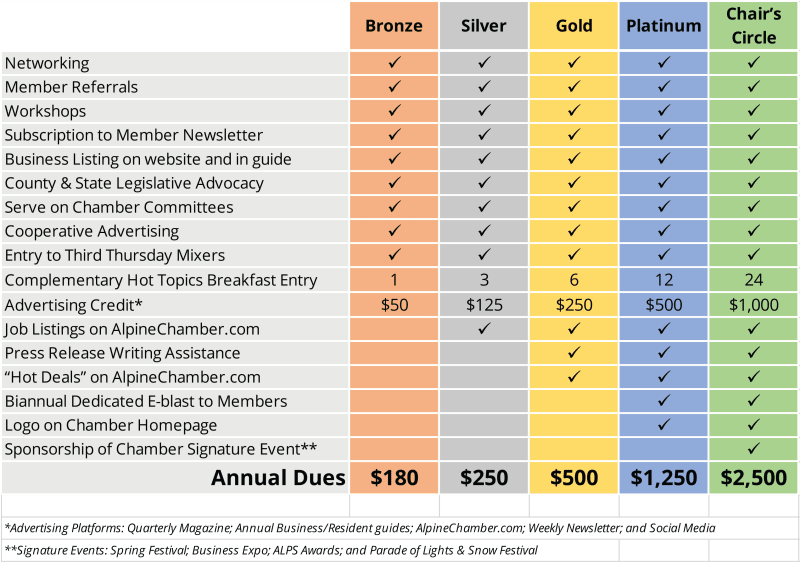 Contact Lori Bledsoe, our Events & Membership Coordinator, at (619) 445-2722 or lorib@alpinechamber.com. Questions? Email lorib@alpinechamber.com for more information.